Spring is almost here, even if we are in the midst of yet another ice storm as I type this, and that means MidSouthCon is around the corner. It looks like our schedules have been finalized, and I will be a moderator and a panelist again this year. My schedule is below. 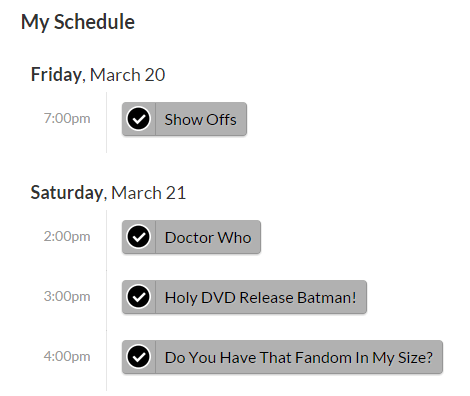 The entire schedule is available online at schedule.midsouthcon.org. Two of my panels include my artist husband, Lin Workman. When not in panels or wandering the halls, we will be hanging out at the Memphis Star Wars FanForce table. Stop by and say hello!